Lauded as "the Race's most famous and most versatile actress," Evelyn Preer was often at the center of the most provocative investigations of black stereotypes on the big screen. Starring in several films written and directed by pioneering black filmmaker Oscar Micheaux, Preer quickly became one of his most beloved stars. "Miss Preer could play any role assigned her and always did so cheerfully and without argument," Micheaux once said. After Preer convinced her mother to allow her to pursue acting, she landed a role in Micheaux's first film, Homesteader (1919). Impressed with her talent, Micheaux cast her in several more films, including the controversial Within Our Gates (1920), a scathing commentary on race relations. In the challenging role of Sylvia Landry, Preer portrayed a woman who survives an attempted assault by a white man who is actually her biological father. The versatile Preer was also a talented singer and stage actress. Her role in the 1926 Broadway production of Lulu Belle had critics raving. 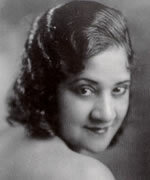 In 1927, she appeared in the musical comedy Rang Tang and recorded with Duke Ellington. 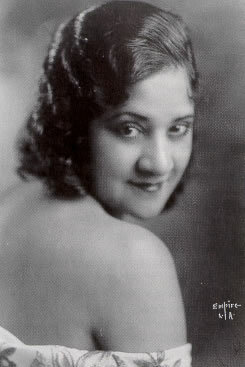 The early 1930s saw her performing with Ethel Waters. Her many achievements prompted actor Paul Robeson to laud her as the "most accomplished dramatic actress that our race has ever produced." Preer's success was due in part to her participation in the esteemed black acting troupe, The Lafayette Players, which she joined in 1924. There, she not only met her future husband, actor Edward Thompson, but she also appeared in acclaimed plays like Somerset Maugham's Rain (1927) and Oscar Wilde's Salome (1923), many of which had never been produced and acted by all-black companies. Preer and Thompson became a formidable leading duo, frequently headlining productions for the traveling faction of the Lafayette Players. White Hollywood came calling with several film roles; however, the fair-skinned husband and wife were forced to paint their faces black to play African-American roles. In 1932, Preer's pregnancy interrupted her prolific acting career. Sadly, only months after her daughter was born, she died from double pneumonia. The Players also disbanded this year, in the midst of the Depression. Actor Paul Robeson greatly admired her accomplishments. She was the leading lady in several Oscar Micheaux films. She performed at the Lafayette Theatre. Preer and her husband were good friends with Bill Robinson.